Figured is all about collaborating with the farming team and bringing everyone on board. 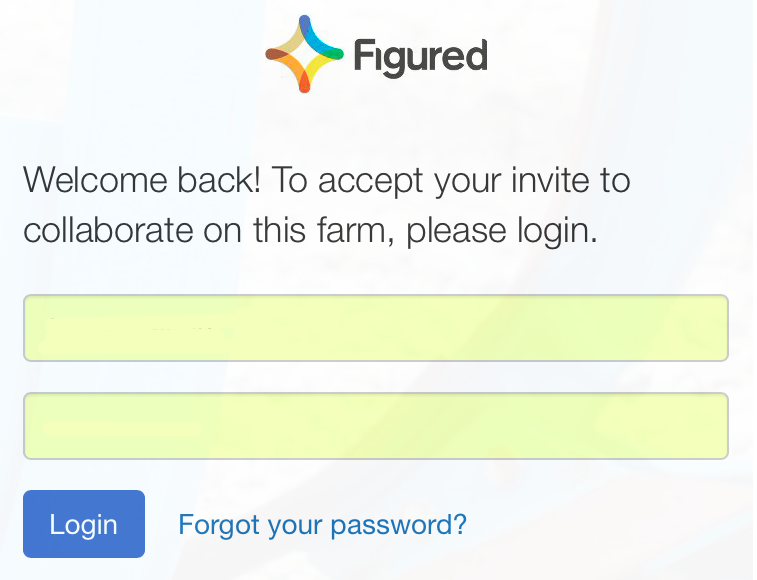 With this in mind, Figured allows you to invite new users to access your farm and assign them a set level of access. To do so, head to your farm select Settings > People and Invite person. Once there, you just need their email and to set the permission levels you wish them to have. 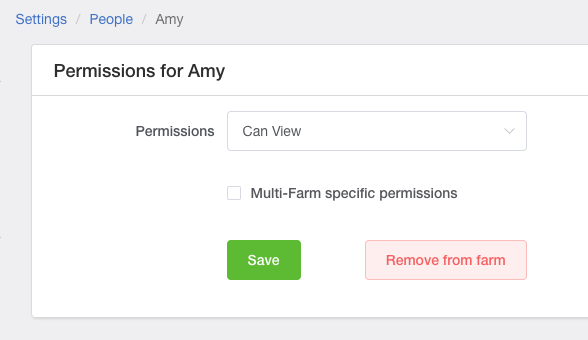 For multi-farm permissions, check out this article. NOTE: You can only add a new user with the same level of access as yours or below. Figured will show an invitation pending icon on the People page and this will stay in place until they’ve accepted your invitation. If the user didn’t receive the invite, delete them from the farm and re-add them to resend the invitation. The invited user will receive an email from Figured, including an Accept your invitation page link. Clicking on the page link will open a new window. If you haven’t already registered for Figured you’ll need go through this process first. The registration process just requires the user to set and confirm a password and then click Register. To change a users access level, head into Settings > People and click on the name of the person you wish to edit or remove. In the screen that follows, you can adjust their access or remove them from the farm altogether.